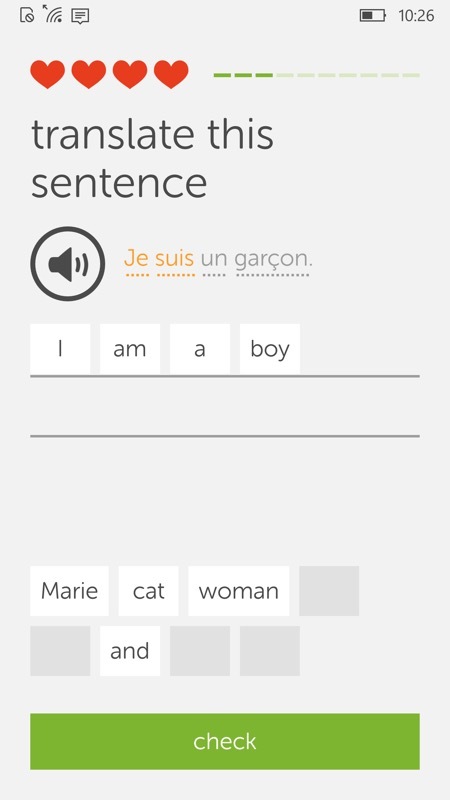 I noted the reworking of Duolingo's web site as a PWA (Progressive Web Application) and that got me hunting in the Store too. 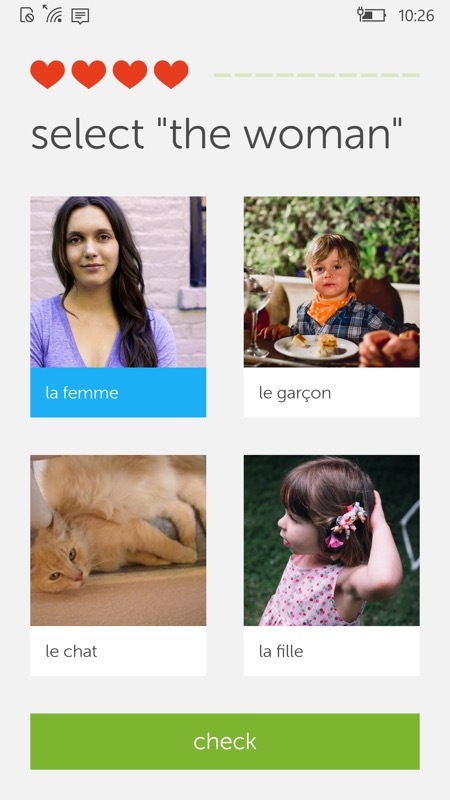 Turns out Duolingo has had a UWP version for Windows 10 for ages too, but we've never covered it here on AAWP. So, in a 'two fer', here are screens for both - and, contrary to what you might suspect, the UWP version isn't just a packaged PWA - it's its own 'thing', with different graphics and layout (and working audio). The PWA is obviously newer, though also slightly more limited, so hopefully both versions will stick around for ages. And yes, both versions work on all Windows 10 devices, including phones, tablets and desktops. 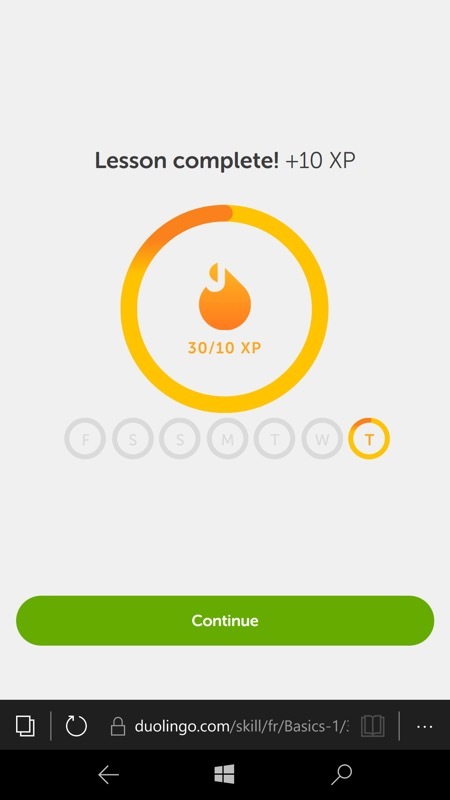 If you want to learn Spanish, French, German, Portuguese, Italian, Irish, Dutch, Danish, or English, the fast, fun, and free way, there's no better choice than Duolingo. 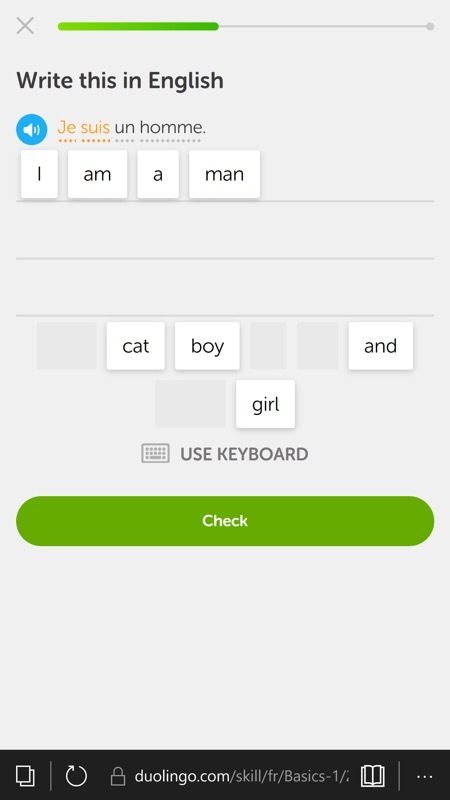 Update PS: You can now learn Greek, Hebrew, Hungarian, and Vietnamese! 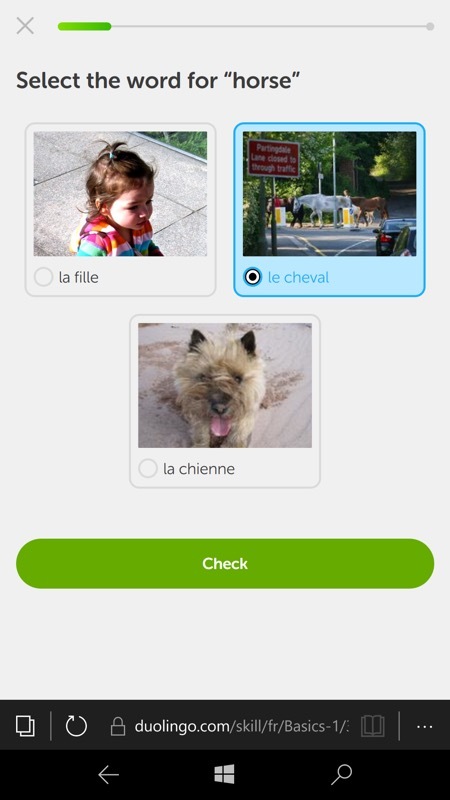 Working through some of the basic lessons - you don't need to initially make a profile, but it will help suggest the right steps later on, if you're serious about learning one of the supported languages; (right) there's a mix of graphical and textual questions, keeping things interesting. 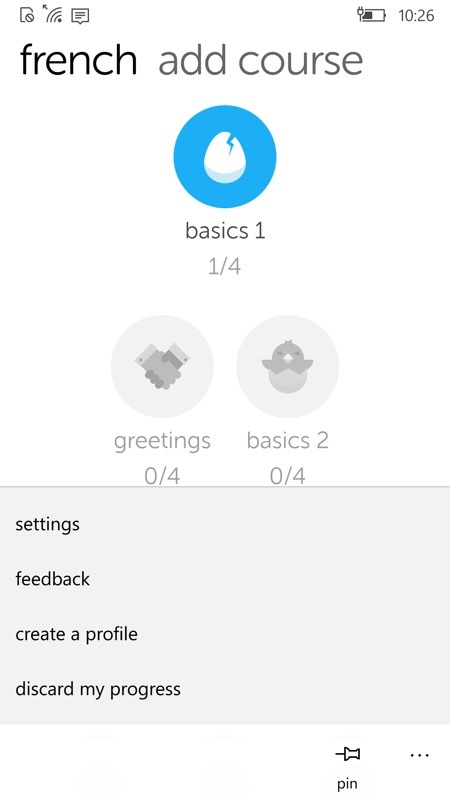 The sound samples work perfectly in the UWP application, giving your ears the chance to absorb what's shown on-screen; (right) Duolingo is slightly 'gamified', but is the better for it. Got to stay motivated! A slightly simpler layout and very erratic sound samples (it's not clear whether this is due to the use of a PWA or limitations in Edge under W01M), but the basic tests are all here and working. You can still learn! Options, options, eh? 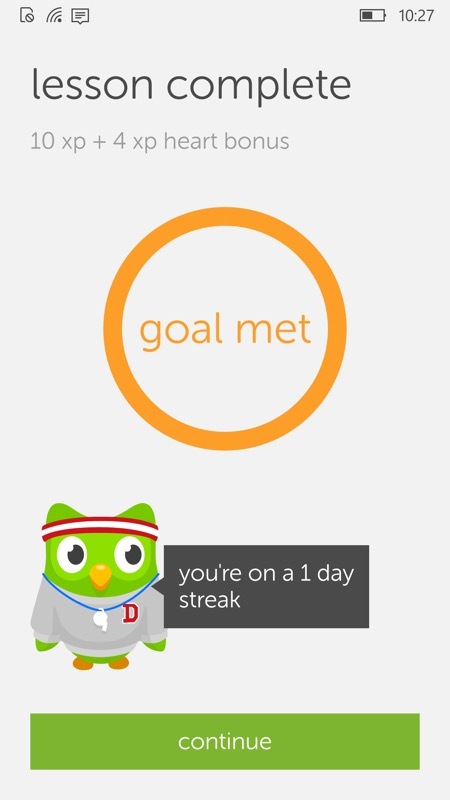 Obviously you'd always pick the UWP app version as it's faster and more complete, but it's interesting that Duolingo seems to have gone all in on PWA for its content across all platforms going forwards.